Holy Family with palm tree. 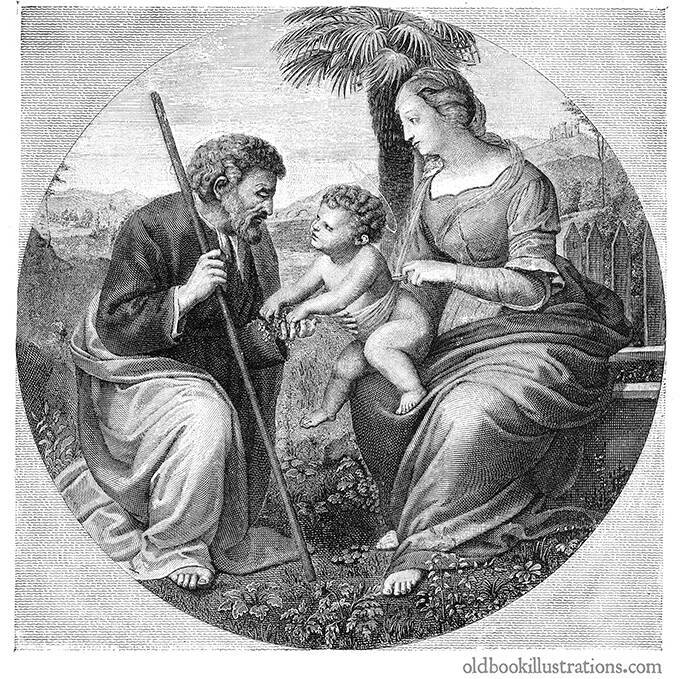 Reproduction of a painting by Rafael depicting the holy family in front of a palm tree. Relief print from an intaglio reproduction of Raphael’s painting. 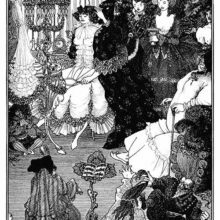 The caption reads in the original French: La sainte famille au palmier, reproduction en relief de la gravure en taille-douce du tableau de Raphael.